I remember a few months ago as I sat at home watching daredevil Nik Wallenda walk across the Niagara Falls on a tight wire. 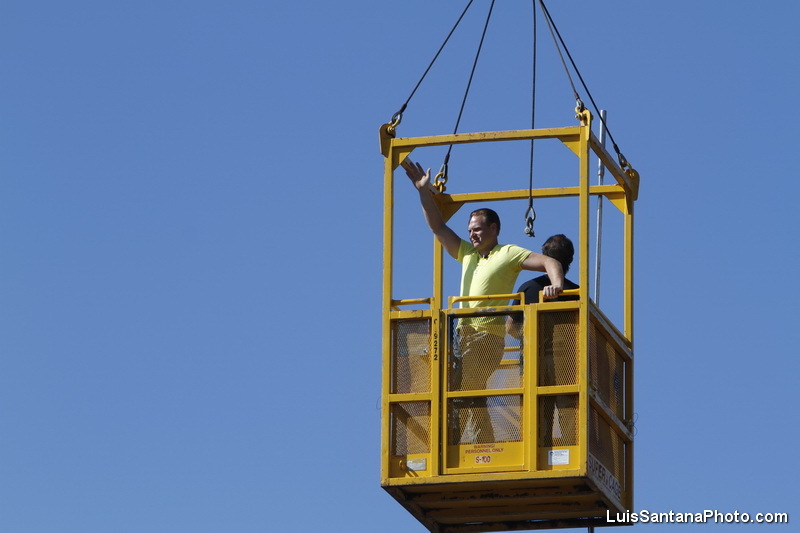 It was amazing to see the event live on TV even though he was wearing a safety harness. I read a few comments where people gave him crap about using a safety wire for the stunt. It actually turns out that he did not want to do it with the safety wire. It was the network that was paying for the stunt that actually required it. Either way it was amazing. 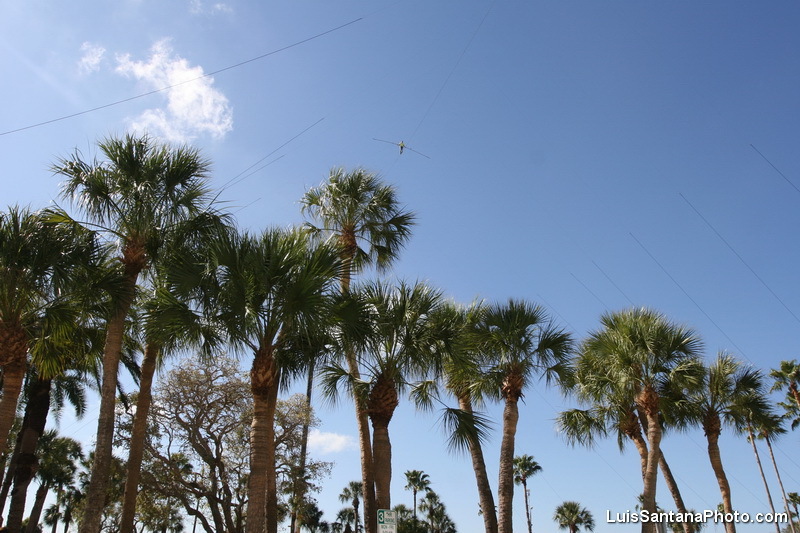 So a few weeks ago when I heard that Nik wild be doing a live stunt in Sarasota 200 feet up in the air WITHOUT A SAFETY WIRE. I had to go check it out for myself. While my two oldest kids were at school I packed up my 6 month old and wife and headed down South. Sarasota, which is only about an hour away from my home in Tampa was a ride I have taken often so it was no big deal. I followed him around as he did his final checks on the equipment and as he went to get his family who were waiting in a nearby tent. Nik was very friendly with the several thousand fans that gathered to see him perform. He also walked around and physically thanked the police officers and EMS workers that where standing by.. just in case. Other than being friendly and thankful he was also very focused. 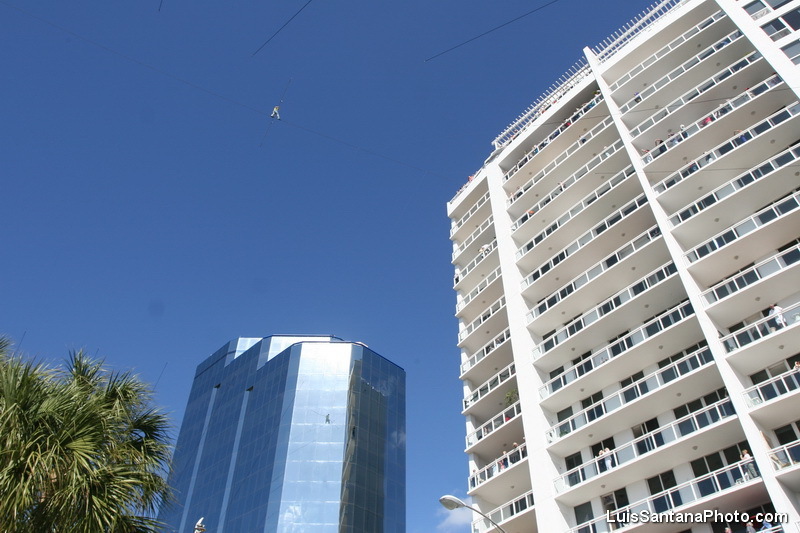 I watched as he sat down on a curb with his children underneath the 200 foot high wire dangling above and watched as he got mentally prepared for what was about to happen. To Nik and his family it was another day at work, to me and the thousands of fans watching, it was crazy. I remember from my days as a volunteer firefighter, typically a fall greater than 30 feet is usually considered very serious. So a fall from 200ft would surely be un-survivable. 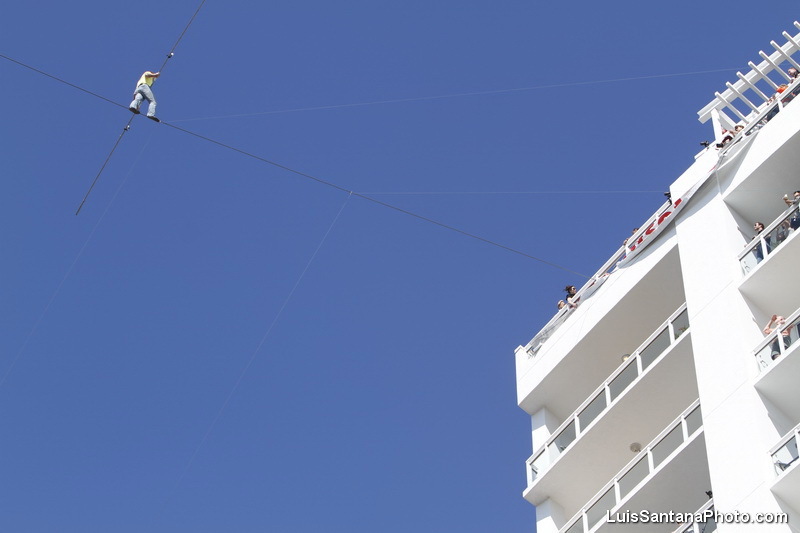 Nik’s great-grandfather Karl Wallenda fell to his death on a similar high wire walk in Puerto Rico. I was hoping that didn’t happen in that day in Sarasota. 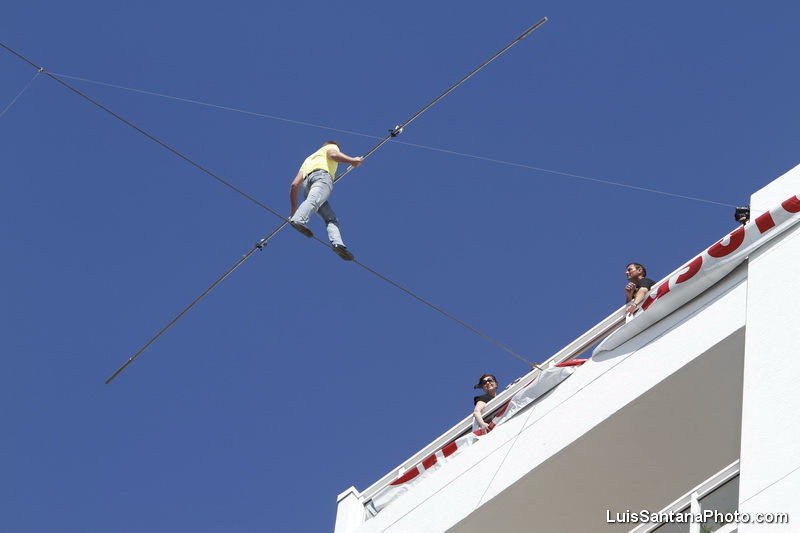 Here is a clip of Karl Wallenda’s fatal walk. I think people’s fascination with stunts and extreme sports such as car racing is the possibilities of serious injury or death. It is possibly the reason why people come out or tune in to see such events on television. Now it’s one thing watching it on TV, but being there right underneath his cable was a whole different feeling. 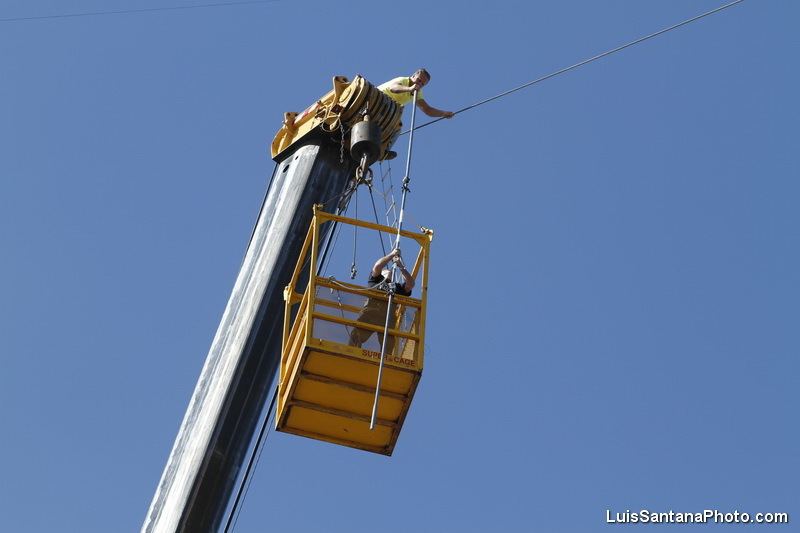 I along with several thousand people were literally underneath his wire as he walked 200 feet above us. If he was to fall it would surely be very traumatic to all of us and especially his family including his children that were there as well. I guess growing up with a dad like Nik, seeing him do his thing high above the ground is nothing new but to us non circus folk it was pretty crazy. As a photojournalist my job is to tell the story and document what was happening including the possibility of him falling to his death. That was something that I did not want to see. Over the years I have seen many fatal crashes, accidents and fires but this was much different. It would of been pretty traumatic seeing this friendly and grateful man surrounded by his family and friends end his life a few feet from where I was standing. However as a photojournalist you shoot everything. As I watched Nik huddle up near the crane and pray with his family it started to hit me,the possibility of photographing him fall. In my mind I started to create my plan of coverage for what would be a very very traumatic experience for us all. My plan.. Do not take my lense off of him the entire walk. Anything could happen at any time. 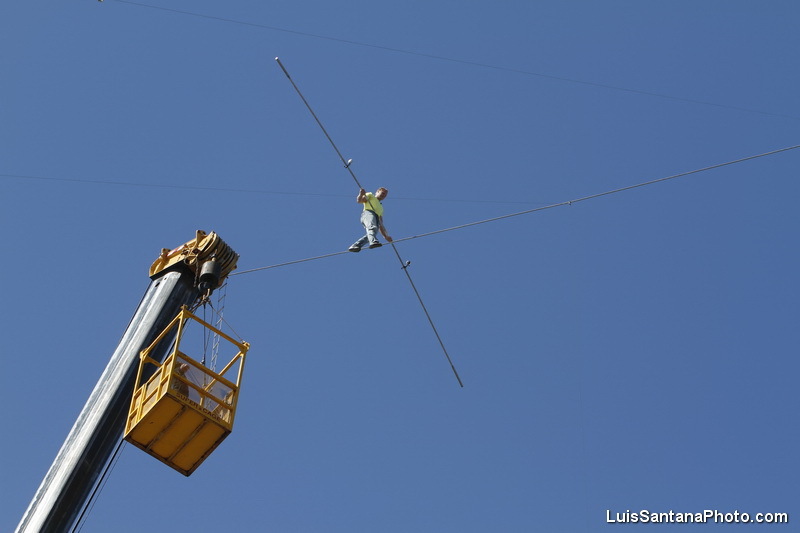 I had my Canon 70-200mm zoomed in tight and locked focus on Nik as he walked the 600ft cable. I had my center focus points and AI Servo focusing mode selected as he moved. I felt this mode would work best if he did fall, the focus would hopefully track him as he fell to the ground. Again this is something I hope did not happen, but I had to have a plan in case it did happen. Once Nik hit the ground I would fire away, taking as many shots as possible before being moved back by police. I would then turn the camera on the thousands of fans, capturing their emotions. It would surely be an extremely sad scene as children, mothers and grown men would of gasped and even cried as they watched what unfolded in front of their eyes. It was something I definitely did not want to have to shoot, but if it happened I would. 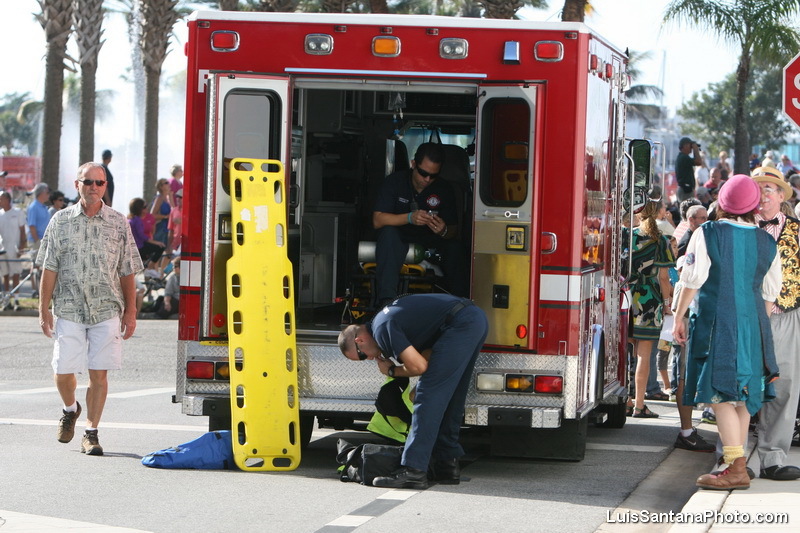 As I approached the event I made a mental note of the location of the ambulance and where the EMS workers where stationed. I would then turn my camera to the ambulance and photograph the family as they gathered to see Nik as he was loaded into the ambulance. 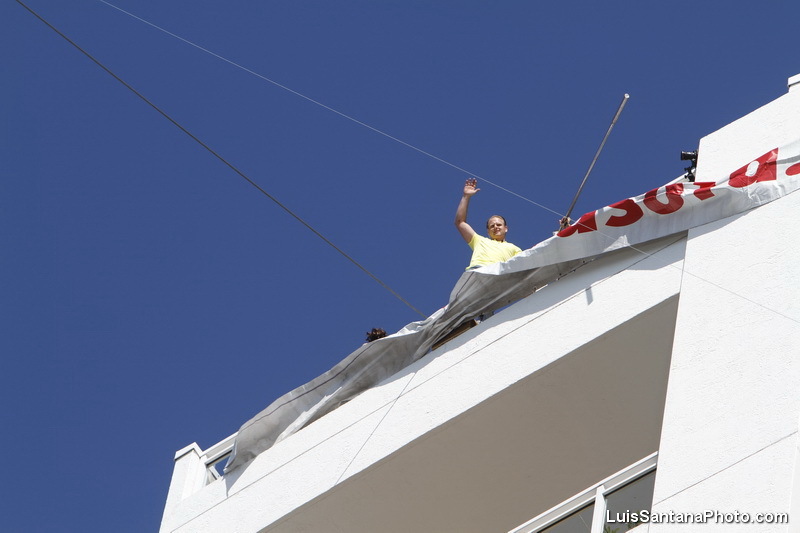 I really hoped everything would go well after all Nik is a seventh generation Wallenda whose family has been performing acrobatics and circuses since the 1700s. But honestly I was pretty nervous. Not only for the possibility of seeing someone like Nik fall 200ft to his death right in front of my eyes but nervous for his family especially his kids. Thankfully he made the walk without a hiccup and amazed us all. 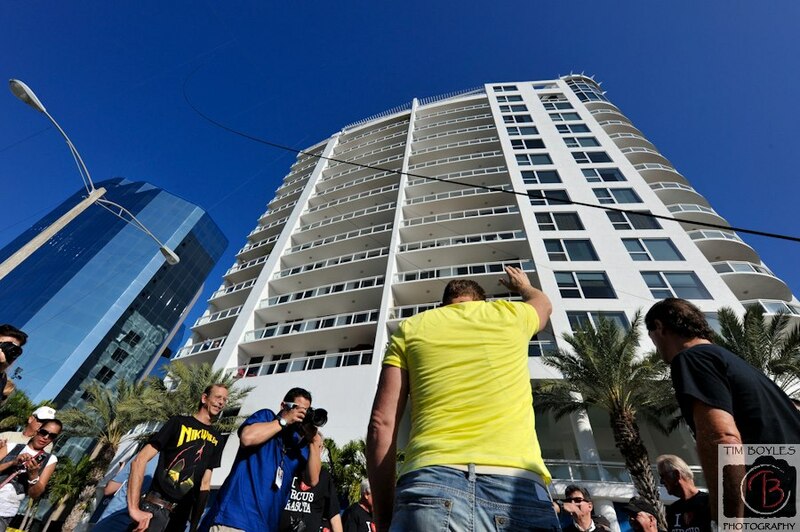 One challenge for me was moving along the wire as he neared the building. 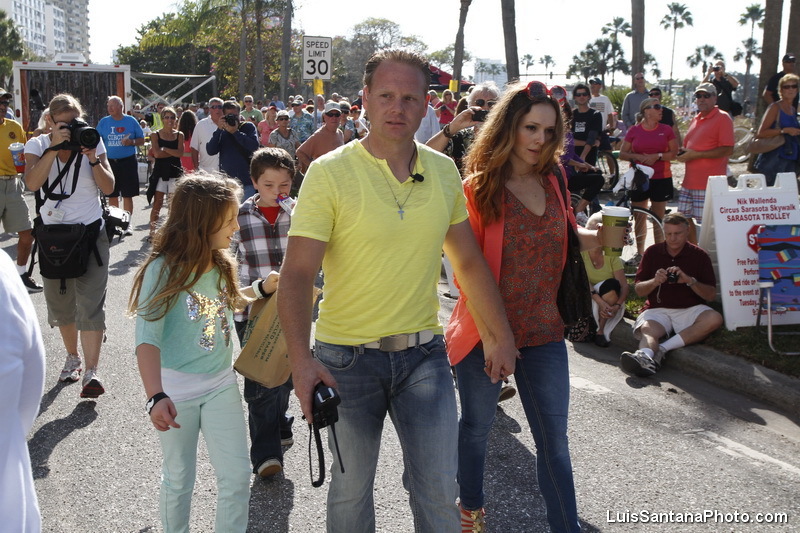 I had to keep my lense on Nik at the same time walk in between all of the people gathered watching is walk. I am still amazed that I didn’t trip and fall! I made sure to keep my camera on him and was able to make some decent photos. The guys who were on the roof actually made some really amazing photos but I was still happy on the ground. Here are some more shots and a video clip of the walk.